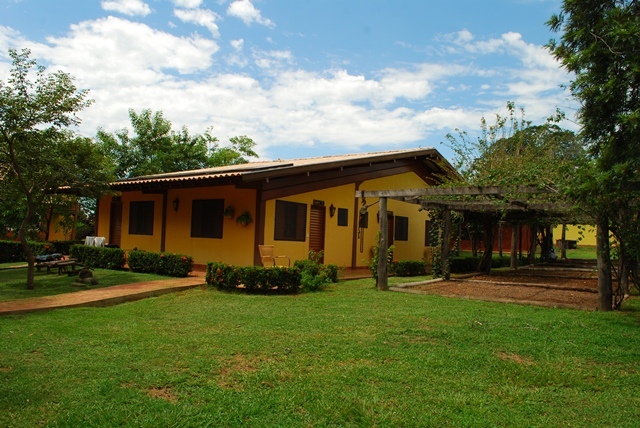 Fazenda San Francisco occupies 14,800 hectares (36,556 acres) and produces rice and raises cattle. 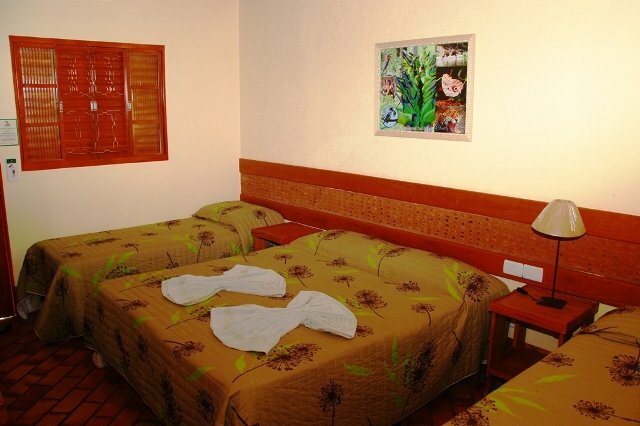 The lodge lies at 3 hours from Campo Grande and 4 hours from Bonito. 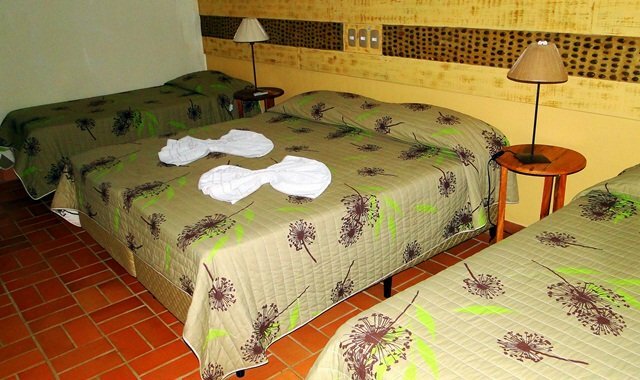 There are nine rooms at Fazenda San Francisco, all with air conditioning, fans, fridge, and bathroom. There is capacity for 40 people. There is a bar and restaurant, swimming pool and hammocks to relax in. Three vehicles are available for photographic safaris and two boats are available for wildlife viewing and fishing. There is a lookout tower offering a panoramic view of the Pantanal. Many trails through diverse types of land offer an ideal place to observe birds and animals. For the more adventurous, there is the chance to go horseback riding and canoeing. Fazenda San Francisco is committed to conservation. 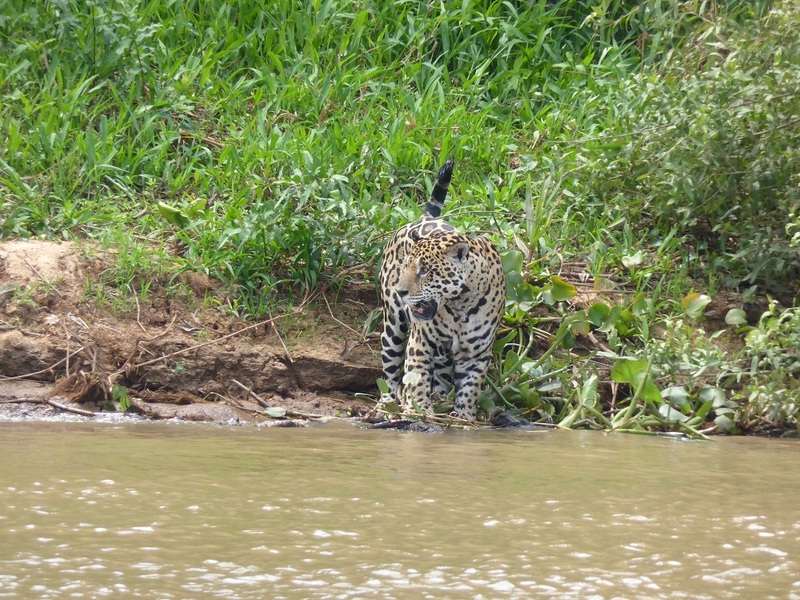 Research projects about the flora and fauna of the Pantanal have been conducted on the site, like the ecology of ocelots and the study of density and economic viability of the Carandá palm tree. 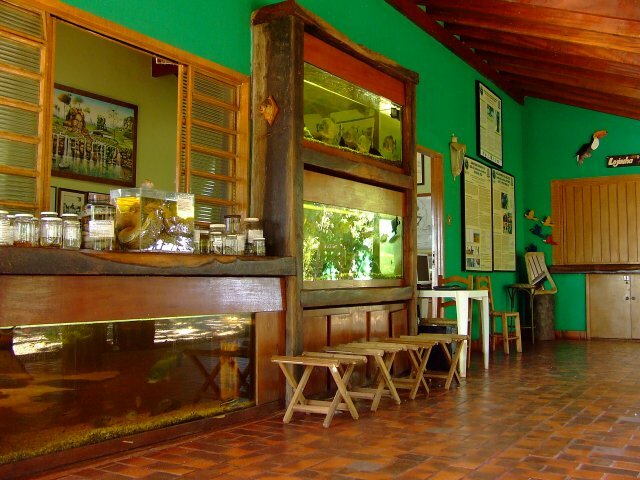 Fazenda San Francisco is also a wildlife rehabilitation center and supports the rehabilitation and reintroduction of wildlife rescued from the illegal pet trade. There are also long term monitoring programs like the Hyacinthine Macaw Project and the Blue-fronted Parrot Project. 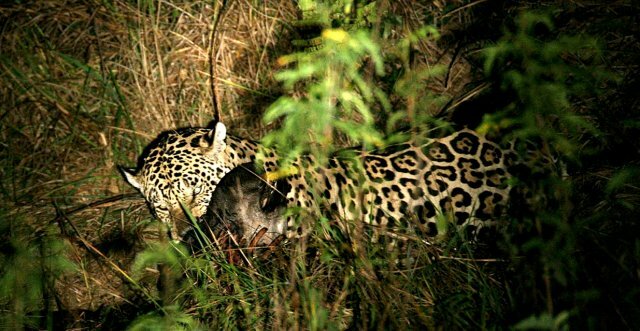 Fazenda San Francisco is also the headquarters of Project Gadonça, which studies the depredation of livestock by jaguars and Pumas. 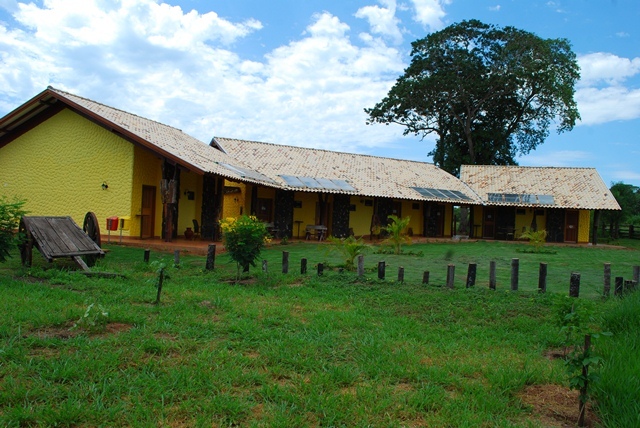 The lodge also offers a conservation program for Brazilian school children. 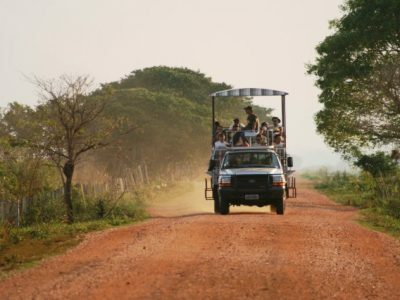 Some of the activities at Fazenda San Francisco include a photo safari by day or evening in an open truck, walks on a suspended trail, a boat tour on São Domingos Creek, boat tour on Miranda River (one of the main rivers in the Pantanal), nature hikes, a night safaris by car or boat and evening lectures about the Pantanal. There is also horseback riding and canoeing. 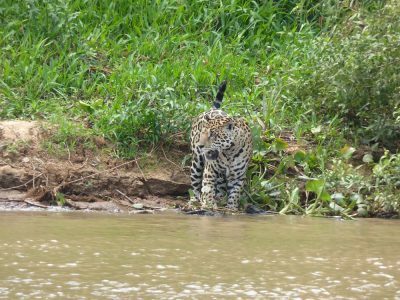 Walk the interpretive walks, take boat excursions and enjoy wildlife viewing in open jeeps, with good chance of seeing, marsh deer, capybaras, caimans, anteaters, tapirs and during their night safari your might get face to face with the elusive jaguar.